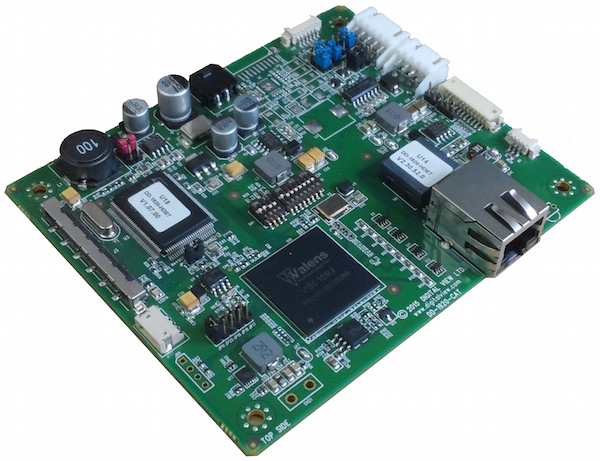 This will be HD-BaseT standards compliant and compatible with other compliant equipment however we will also be releasing an HDMI to HD-BaseT converter and transmitter board to provide a complete end-to-end solution. The cabling requirement is Cat5e or Cat6. Although HD-BaseT is not an IEEE recognized standard it is becoming increasingly popular for installations requiring an extended video source cable and is supported by many AV extender and device manufacturers for the commercial market. We see it as being suitable for many installations such as digital signage where the video source may be centrally located to feed multiple displays around a retail store or sports bar. As a note, the standard provides for video, audio, Ethernet, control and power with HD-BaseT2.0 supporting 4K – the DD-1920-HDBT will concentrate support on video up to Full-HD as well as stereo audio with a view to additional functionality being implemented on more advanced controller models in future. Digital View can also implement HD-BaseT on a custom engineered basis for OEM customers. If you would like to know more about Digital View support of HD-BaseT please send an enquiry to our sales and support team here.